Jessica Gordon-Nembhard talks about her latest research on worker co-ops, and the kinds of questions she grapples with as she connects solidarity economics and cooperatives to racial and economic justice. 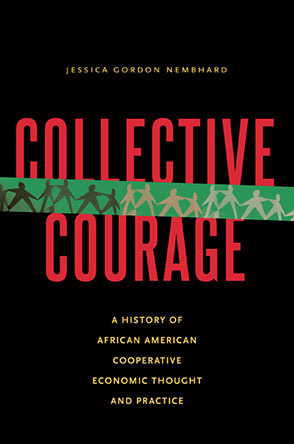 Jessica continues to explore and research the ways that cooperatives, especially worker co-ops, are a community economic development strategy and benefit their communities; and if/how they can transform policing and public safety practices. One of her particular areas of focus is incarcerated worker co-ops and co-ops owned by returning citizens around the world. She collaborates with a group of national colleagues on exploring US options for promoting, educating people about, and establishing such co-ops. Dr. Gordon-Nembhard also presents this research nationally and internationally to co-op researchers and practitioners, social justice advocates, and increasingly to progressive criminologists, grappling with community-based approaches to justice.